DUG Insight User ManualFrequently Asked QuestionsFrequently Asked Questions WellsWhere does Single Well View extract 2D value from? In Single Well View, a seismic trace can be extracted along the well path from an input volume. 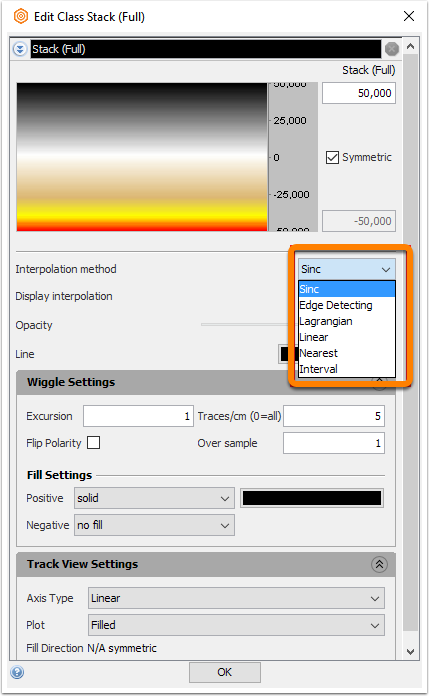 When using a 2D volume, which the well does not directly intersect, Insight will still extract a curve. What is it extracting here? For a 2D volume, it uses the "nearest line" based on the well's surface location. 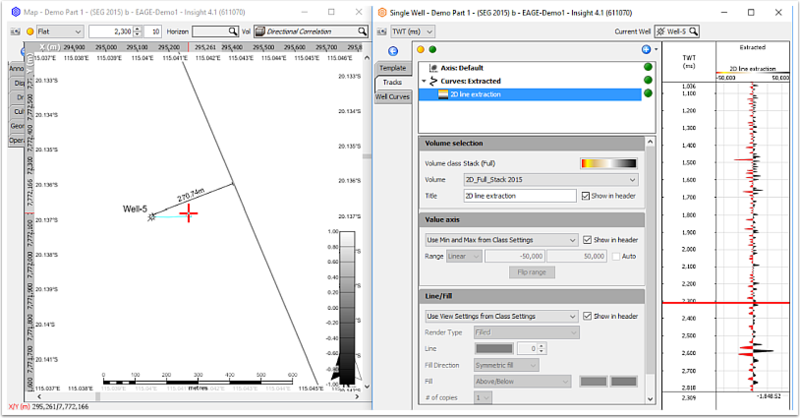 This may be different to the nearest line selected for display in a seismic track, which is based on the weighted average distance from the full well path. The well path is projected onto the line using flux projection using the same approach as displaying the well on a 2D or arbline section. Four-point lagrangian interpolation is used for horizontal interpolation, while vertical interpolation is determined by the volume's class configuration, see picture below. The curve is produced in MDKB by sampling at one metre intervals along the well path, defined by points in X/Y/(TWT or TVD depending on the volume's domain). The well path is interpolated linearly between those points. Next: How to export map values at specific IL/CL locations?